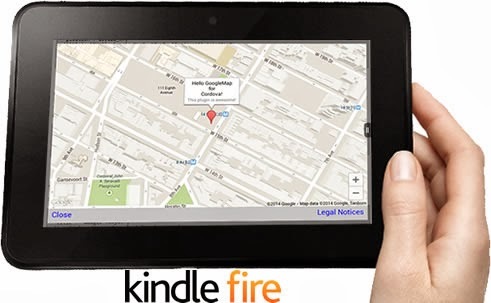 You can easily install google maps on kindle fire hd and there is no need to root kindle fire hdx for this. Sideloading google maps works on all kindle model and you can have maps for kindle fire hd 8.9 also. Sideloading is less risky than rooting as it doesn’t make your device more vulnerable and you can also download the apk from the google play store for your kinlde fire . You are going to install apps that haven’t been approved by amazon for the Kindle Fire HD, and thefiretablet.com can’t accept responsibility if things don’t go as per plan. Now connect your Kindle Fire HD to your computer via a USB cable and transfer the installation files. Copy the GoogleServicesFramework.apk and GoogleLoginService.apk files over to Kindle Fire HD, then use ES File Explorer to launch them. Now Install both apps, then reboot your Kindle Fire HD once so that the changes can take effect. http://thefiretablet.com/posts/install-free-google-play-store-app-on-kindle-fire-without-rooting/. Please follow all these steps and you are ready to use you google maps on kindle. Have you tried installing Dolphin on kindle ? You can check this article to install dolphin on kindle fire hd .